Sub Focus' brand new live show features an amazing LED installation designed by our friends at Immersive. We were asked to create two tracks worth of visuals to be used in the show. The show is built in such a way that all the video is controlled by Sub Focus himself through Ableton Live controlling the AI media server. We worked on the classic track 'Rock It' for which we created a huge sweeping red laser effect and intricate graphical animations highlighting all the different musical elements. The other track required a more fimic look, so we had great fun creating a space themed intergalactic fly through. 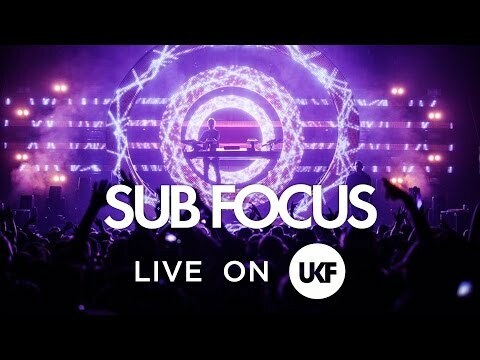 Another ground breaking Immersive project, Sub focus' Live show features not only a custom designed LED screen and video, but the ability for the artist to control the music as well as the visuals live. For the updated show at Brixton's Electric in December, we were asked to create video for new track 'Safe in Sound'. Having created some visuals for the previous tour, we were asked by Subfocus to create some space inspired colourful nebula animations, and we were more than happy to oblige.